Whether in our retail store, or on the phones in our Customer Service Department, we get asked this question quite frequently! Unfortunately the answer is yes. And no, and sometimes! 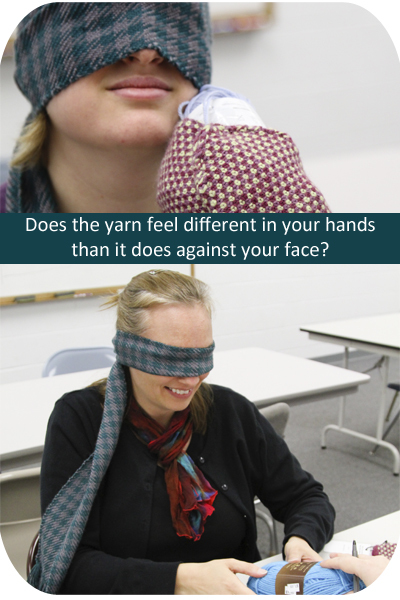 Each employee was blindfolded and wore mittens during the first part of the test. 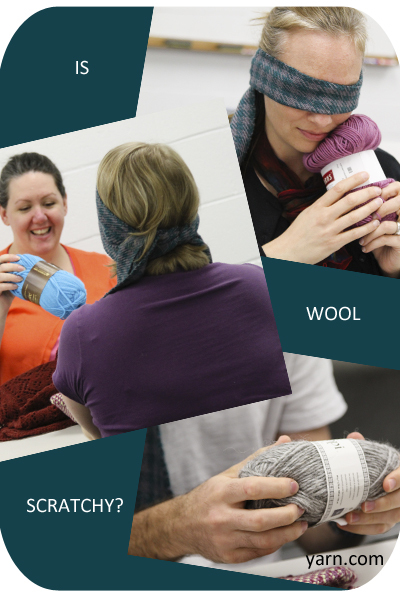 They were asked to hold each yarn against their face and neck and give 3 words to describe how the yarn felt against their skin. They were then allowed to hold the yarn in their hands without the mittens and asked if they would wear that yarn next to their skin. 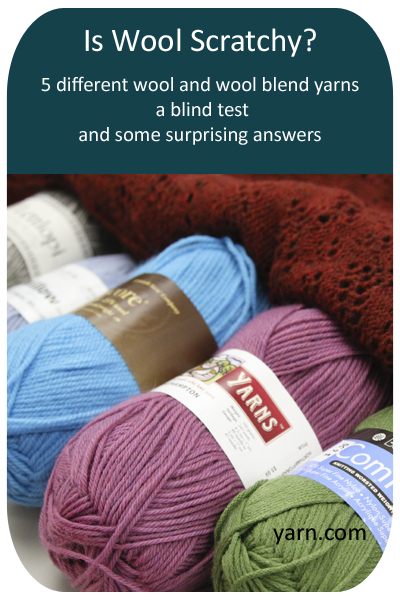 Most were surprised when they learned which yarns they had handled and how they had felt! Many repeated some of the same words and other words were used for all the wool and wool blends as you can see below. 100% of participants said they would not wear this next to their skin. Lopi is intended as an outerwear yarn and none of the participants were surprised that this was the roughest yarn of the bunch (several participants even guessed correctly that this was Lopi with the blindfold on!). 70% said yes, 20% said no and 10% said maybe they would wear this next to their skin. Even cashmere isn’t a guarantee of comfort against the skin! Our no voter was surprised that they hadn’t felt like they could wear a 30% cashmere blend and only said no after touching the yarn with their hands. 30% said yes, 50% said maybe and 20% said no to wearing this next to their skin. 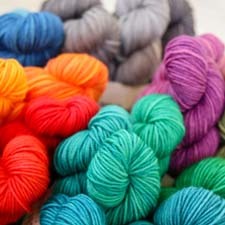 With only 25% wool lots of knitters choose this year with the belief that the acrylic makes it softer in addition to its washability. Again the no voters were tipped to no votes after handing the yarn with their hands. 50% said yes, 20% said maybe and 30% said no to wearing this next to their skin, but the no votes needed consideration and were not as vehement as the no votes for the Lopi. So they next time you think you don’t like wool because it’s scratchy, take a moment to reconsider. There are lots of wool breeds and blends out there and there may be one that’s perfect for you. 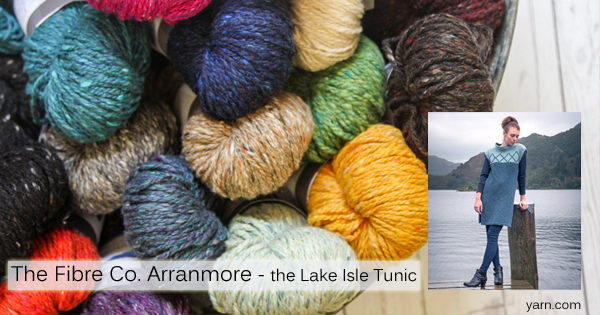 Tell us if you’ve found your perfect wool or if you’ve changed your mind about using wool.